There are a lot of naysayers about VR. Maybe it is because it is the shiny new thing in video gaming. Or maybe it is because they have actual objections to the way virtual reality is currently being pushed. Regardless, from a factual standpoint, VR is really quite old and it is astounding to everyone that has paid attention that things have taken this long to take off, so to speak. While still a niche industry by any stretch, VR is growing by leaps and bounds…it is just sometimes hard to see the forest for the trees. Take the robust, record-setting sales of the PlayStation VR this past holiday season. Or the increasing amount of attention companies are paying to VR development. What about its expansion into other industries and even VR’s use in commercial applications? 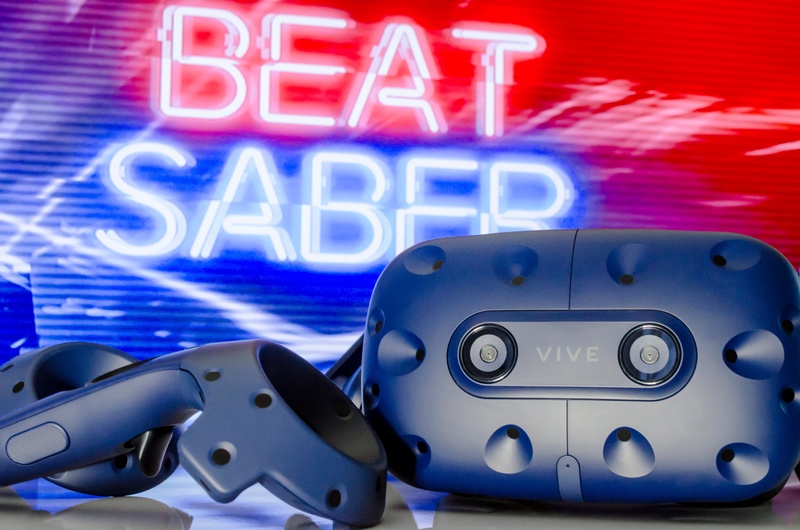 How about Beat Saber making history by selling one million units, the first VR game ever to do so? That last fact is the kind of thing that people in the industry pay attention to – gamers and devs alike. And it’s great news for fans of VR. Beat Games reports that the sales figures represent all platforms. That’s great, but what’s really catching the industry’s eyes is just how much money the company spent on marketing the game. That figure is pretty close to $0 in industry terms, which means that Beat Saber has made the company a bunch of money. Not only has the game experienced robust sales success but also it is critically acclaimed, with many considering it one of the best games VR has to offer right now. For those that have not have the opportunity to play Beat Saber yet, it is basically a rhythm game that makes use of lightsabers to cut objects that fly at you. Doing so successfully produces a melody – you get the drift. Best of all, since it is available for practically every VR platform out there, you don’t have much of an excuse not to give it a shot. Whether or not we will see more rhythm-based games based on this concept remains to be seen but we’re certain that companies have noticed how much money they can make off of little to no marketing and a simple, but compelling, concept.